Concordia’s infrastructure could not survive the two days of extreme cold weather in Montreal. Classes in the SP Building on the Loyola campus were cancelled or relocated due to water damage Monday through Wednesday. The extreme cold temperatures led to the freezing and bursting of the sprinkler system pipes in the SP Building Monday Feb. 15 at 1:15 a.m., according to Chris Mota, the university’s spokesperson. “It’s Mother Nature, it’s one of those unfortunate things that happened,” she said. There were no injuries, but one to two inches of water on the fourth floor spilled down to several areas of the building. Access to the building is restricted but not closed off. One hallway with lockers had puddles on the floor. The SP Building was built ten years ago and the pipes were in seemingly good condition. The university isn’t aware of any other pipes freezing across campus. The cleanup is already in effect, and the team is prioritizing classrooms and labs as to minimize impact on students and professors. “We have to deal with the water, do a proper cleaning, make sure there is no mould or anything else. There might be ceiling panels that need to be replaced,” Mota said. The cost of the repairs will remain unknown until the cleaning is complete in a couple weeks, said Mota. 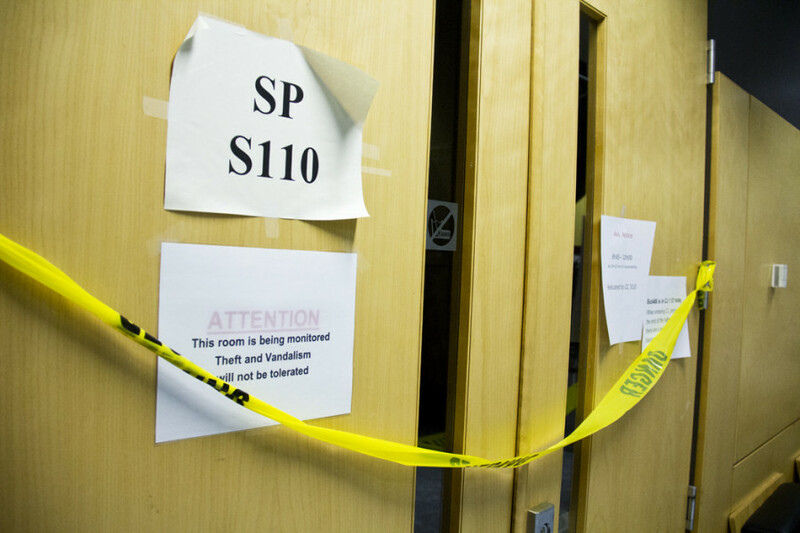 The water damages have affected the second, third and fourth floors in the SP Building as well as the SP-110 auditorium. Classes cancelled earlier in the day were later moved to other buildings on Loyola campus not affected by the water damage. 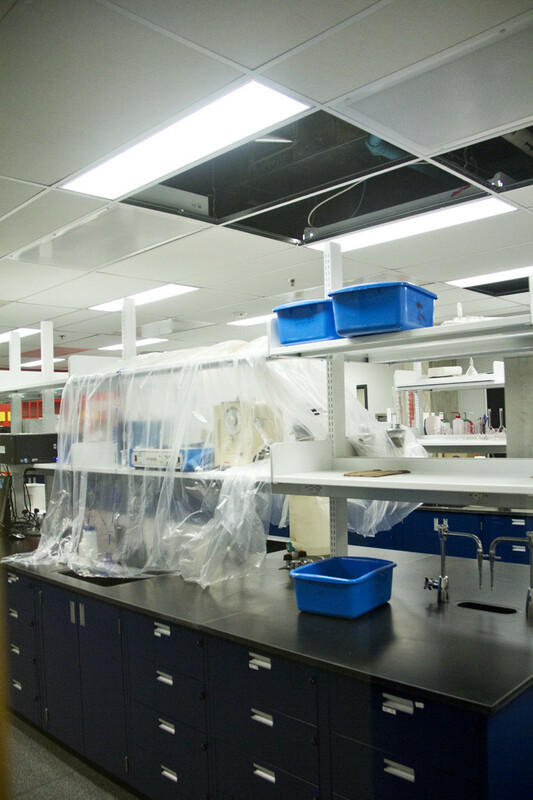 Classes usually held in SP-110 have been moved to the basement of St. Ignatius of Loyola Parish (SI-H01), at 4455 West Broadway St.
Three programs seem to be affected by these disruptions: biology, chemistry and applied human sciences. Disruptions of classes will follow through tomorrow, Tuesday Feb. 16 and Wednesday Feb. 17 by cancellations and room changes. CHEM 666-02 seminar is moved to SI-H01 and begins at 2 p.m.